Italian oil major Eni has reached a deal with Caelus Energy to buy the small independent out of the Oooguruk North Slope field. Eni announced Thursday that it will acquire Caelus’ 70 percent in Oooguruk and take over as operator of the near shore oil development. The deal, for undisclosed terms, will make Eni the sole owner of Oooguruk as the company already holds a 30 percent stake in the field, according to a Thursday release. Oooguruk sits in state waters about 2 miles off the North Slope. Oil production started in 2008 from a manmade island and the small field currently produces about 10,000 barrels per day from 25 production wells, according to Eni. The field also contains 15 gas-water injection wells. A statement from Eni says the company — which also owns 100 percent of the Nikaitchuq field, another small, near shore oil development — will work to synergize operations at the fields. 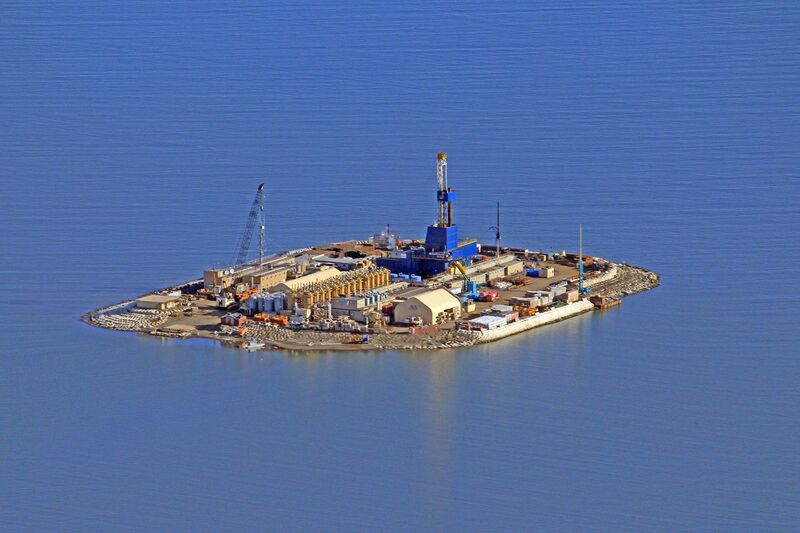 Nikaitchuq’s Spy Island drill site is about 8 miles northeast of Oooguruk. Eni plans to drill additional wells at each field to increase oil production by several thousand barrels per day. In late 2017 the company began drilling ultra-long reach angled exploration wells roughly 35,000 feet long from Spy Island to reach targets in its federal leases further offshore. Last August Eni also bought the rights to 124 onshore state leases from Caelus covering about 350,000 acres of exploration acreage on the eastern North Slope. Caelus Energy bought Oooguruk and other Alaska assets for $550 million in cash from Pioneer Natural Resources in a deal announced in late 2013. At the time, Caelus CEO Jim Mussleman said he planned to invest about $1.5 billion in Alaska over the next five to six years. Mussleman and other Caelus officials have said the company came to Alaska in large measure do to the state’s revised oil production tax structure known as SB 21 and the generous but now defunct refundable oil and gas tax credit incentives the state offered to small explorers and producers for working in Alaska. Caelus made national headlines in October 2016 when company leaders announced they had discovered upwards of 6 billion barrels of oil at the remote Smith Bay prospect in shallow, state-owned waters about 125 miles northwest of other Slope oil developments on the edge of the National Petroleum Reserve-Alaska. However, the company has not done any significant work at Smith Bay since. Caelus has also postponed further development of its onshore Nuna oil project near Oooguruk estimated at $1.2 billion, which currently consists of a 22-acre gravel pad. Company leaders have blamed more than $100 million in unpaid state tax credits for hampering Caelus’ ability to further development of its Slope prospects. The company was granted reduced state oil royalty payments at Nuna in January 2015 in exchange for prompt development of the project but the Division of Oil and Gas denied an extension of those terms in April 2016. Caelus Alaska Vice President Pat Foley said in a brief interview that the company has been actively marketing Nuna to potential investors or buyers for a couple years. “We think those (marketing activities) are going to be coming to an end fairly soon,” Foley said. He also said at this point there are no plans for more work to appraise the Smith Bay prospect.